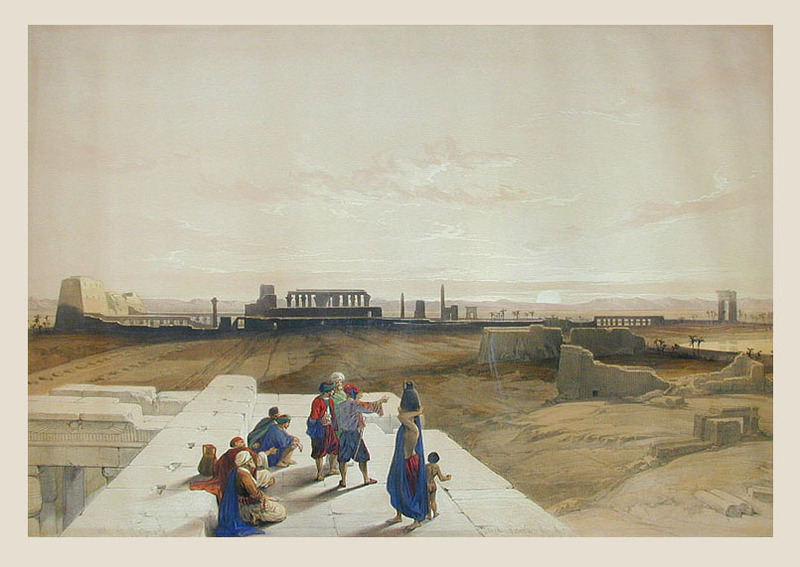 Comments: A very atmospheric full folio of the ruins of Karnak, highly colored as printed. Price: $1,500 uncolored, $1,600 colored. Paper : 16 9/16" x 23 15/16"
Image: 13 7/8" x 20 1/8"